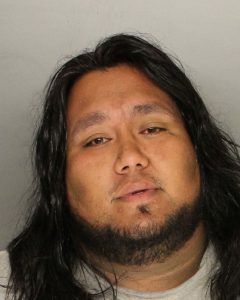 Members of the Sheriff’s Compliance Response Team (CRT) with the assistance of Detectives from the Sheriff’s Special Investigations Bureau, witnessed a wanted subject sitting in a vehicle in the 1800 block of North Broadway in Santa Maria. 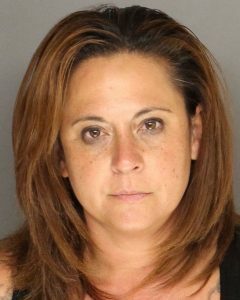 Detectives, along with members of CRT, contacted 30-year-old Kenneth Hilbrant of Santa Maria and an associated female, identified as 44-year-old Stephanie Marie Lyons of Santa Maria. Hilbrant was immediately arrested for his outstanding warrant without incident. Lyons was later discovered to also have a warrant out of Santa Barbara County and was subsequently arrested as well. Hilbrant, who is on active Post Sentence Supervision with Santa Barbara County Probation, was searched along with his vehicle. 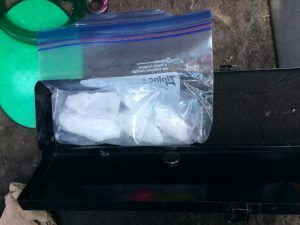 This search revealed approximately 2.7 ounces of suspected crystal methamphetamine, and other indicia consistent with narcotics sales, within his vehicle. Hilbrant was arrested, not only on his warrant, but for possession of methamphetamine for the purpose of sales. Both Hilbrant and Lyons were later booked into Santa Barbara County Jail. Both are not eligible for bail. The Compliance Response Team is funded by realignment money distributed through the Community Corrections Partnership, a committee of various county law enforcement and judicial representatives. CRT consists of Santa Barbara County Sheriff’s Deputies and Probation Officers.